I think this may have been the best one yet of the Joe DeMarco series. House revenge starts off with drama. Congressman Mahoney as usual has a problem. One of his elderly constituents approached him about a developer that was strong arming her into prematurely exiting her 5 year lease. It turns out that Mahoney knows the developer and figures he could just convince him to back off for a little while; Mahoney would look like the victor for helping the old lady and the public would continue to vote his way. But when the developer tell him to piss off in so many words Mahoney’s ego kicked in to overdrive and enters Joe DeMarco as usual to do Mahoney’s dirty work. Joe tries everything in his power to help this old woman and put an end to the threats and vandalism that has been thrust upon her building and nothing seems to work. But when the old lady suffers a violent fall down the stairs in her building land her in the ICU, Joe decided it was now time to take the gloves off. Joe finally gets dirty without Mahoney’s say so. He had something to prove himself. This book is filled with the normal politics, scandal, murder, drama, lies and shady deals we have all come to love Joe DeMarco for. However, in this novel Joe actually is put in real danger himself and there are a few times that you don’t know if he will get out of it. Not to mention he may have the blackmail of his life hanging over his head. I hope you will enjoy this as much as I. 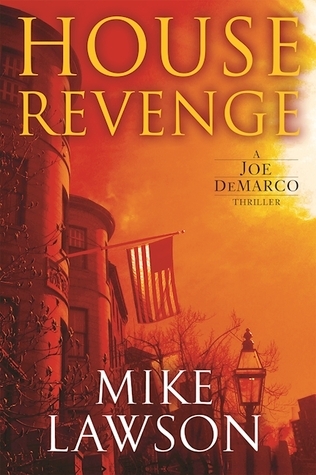 In House Revenge, Congressional fixer Joe DeMarco is dispatched to his boss Congressman John Mahoney’s hometown of Boston. Mahoney wants him to help Elinore Dobbs, an elderly woman fighting against a real estate developer intent on tearing down her apartment building for a massive new development. Mahoney is just in it for the free press until Sean Callahan, the developer, disrespects him and even worse, Elinore suffers a horrible “accident,” likely at the hands of two thugs on Callahan’s payroll. Now Mahoney and DeMarco are out for revenge. DeMarco tries to dig up dirt through Callahan’s former mentor, and one of his ex-wives. But it’s only when DeMarco gets a tip on the likely illegal source of some of Callahan’s financing that things get deadly. Next PostNext April: Stay or Go?